I always look forward to being in Florence during the month of May. 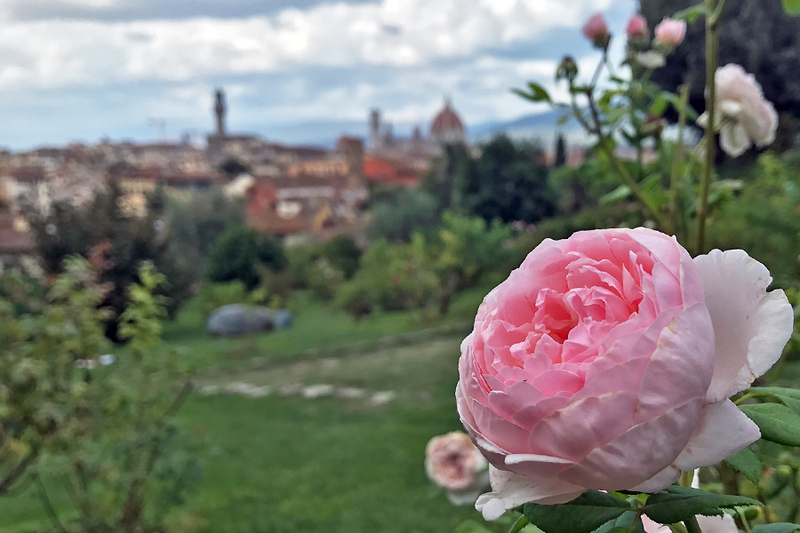 It’s when I get to admire the flowers in Florence. 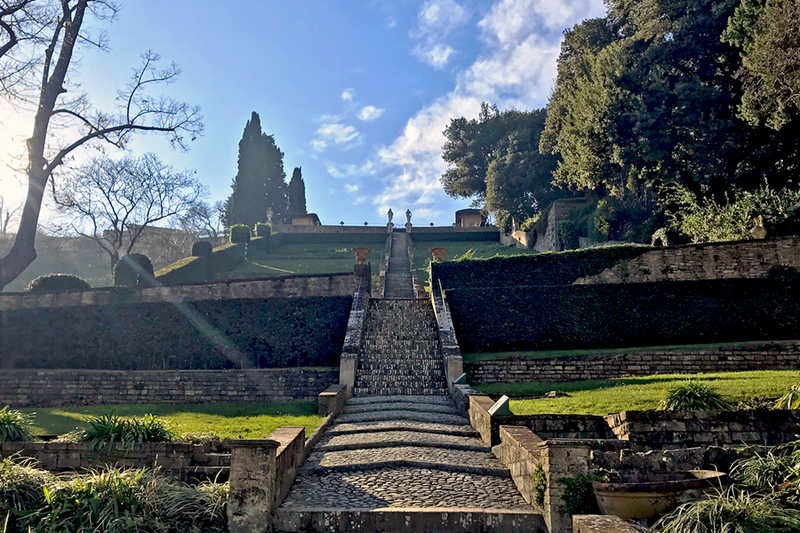 Every morning this week, I looked out the window to see if the weather was good to go to the Giardino Bardini to have a walk around, but unfortunately I was either busy or the weather was a little quirky. 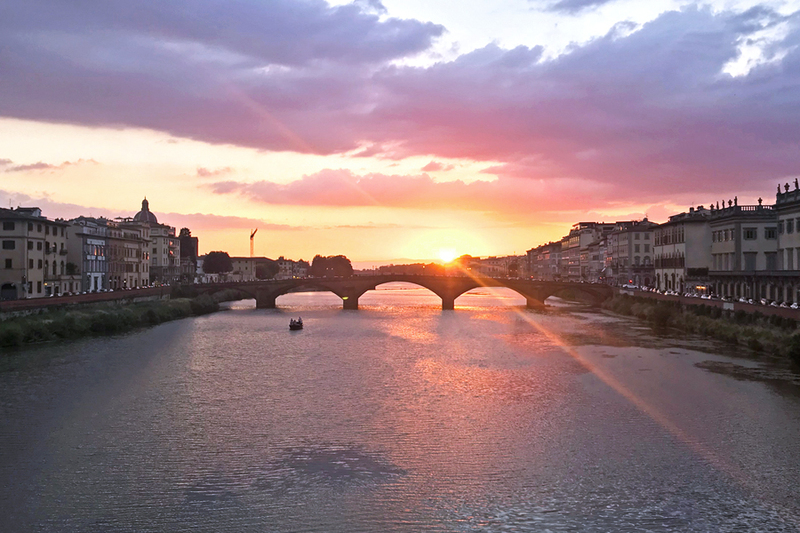 Yesterday evening, I walked along the Arno toward Ponte Santa Trinita in the hopes of catching the sunset. 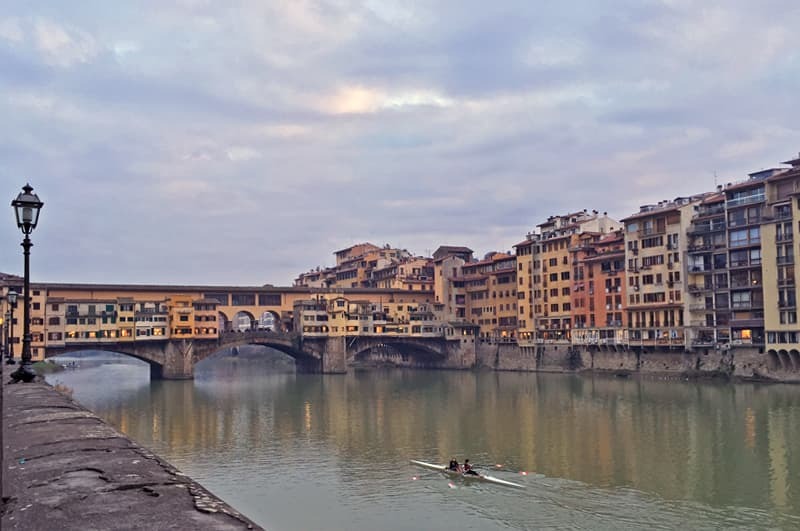 When I saw that it was a bit overcast, I crossed the Ponte Vecchio and turned left down via dei Bardi. When the pilot announced that we were beginning our descent, I peered out the airplane window. After admiring the French countryside divided into well-defined sections of different colors, the snow-capped peaks of the Alps, and then the vast Mediterranean Sea, I was happy to finally see the hilly and vibrant green Tuscan countryside with a few houses sprinkled around it. As the plane fluttered in the sky and then flew through a couple of large, fluffy clouds, I spotted Florence in the distance. My beloved city is easy to recognize because of the sea of light colored buildings with terracotta rooftops and the Duomo standing out in the center. 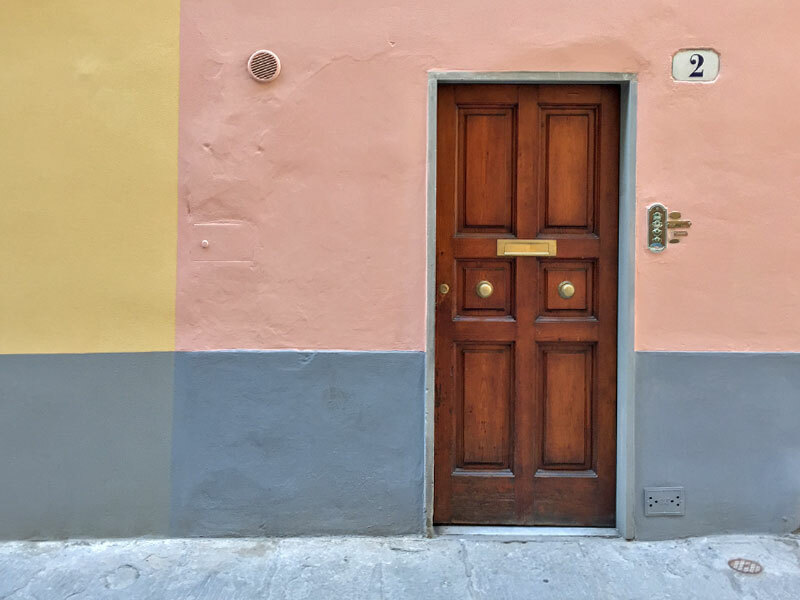 About a year and a half ago, I almost purchased an apartment in Borgo Allegri situated between Piazza Ciompi and Piazza Santa Croce. I thought it was my dream apartment, albeit not that large, because of the fabulous location and the spectacular view of the neighboring rooftops and the Duomo in the distance. As I got closer to the date to sign off on it, I began to feel dread instead of joy. I contemplated what to do even though I knew that I had to back out. I thought it would be the perfect place for me and had even planned out where I was going to put my desk so I could look up at the Duomo. Love is the only reason I can give as to why I stood in the dark to take photos of Florence last week. I dragged myself out of bed before the sun came up, bundled myself up, and rushed outside where it was -3° C. After a few days of clear blue skies, I wanted to capture the beauty of my beloved city as it was just waking up. I had never made an effort to take photos of Florence at sunrise, but the night before that’s all I could think of. 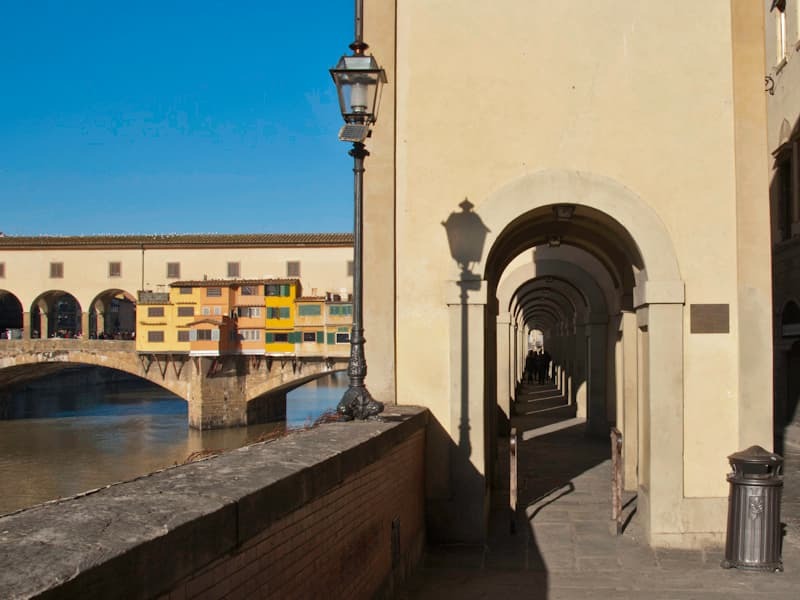 Ever since I have been living in Florence, I have come to admire the way the sun enhances the beauty of my beloved city. 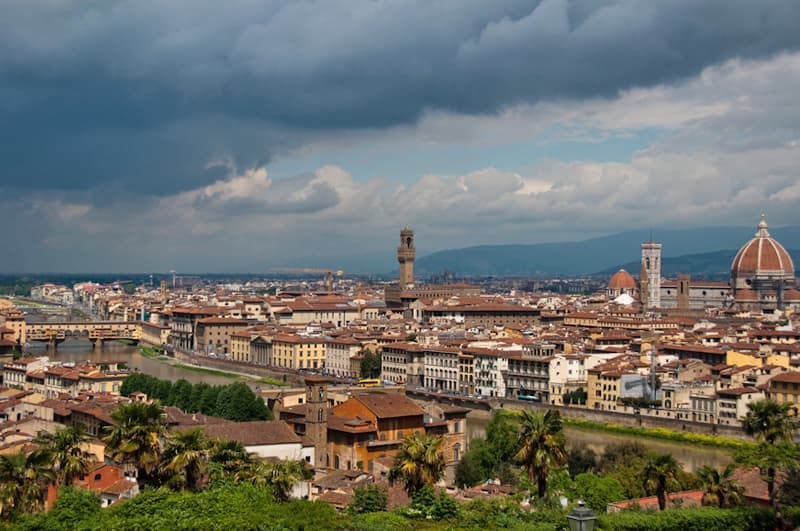 The weather affects how Florence appears: sometimes the colors are more vibrant and other times less so. 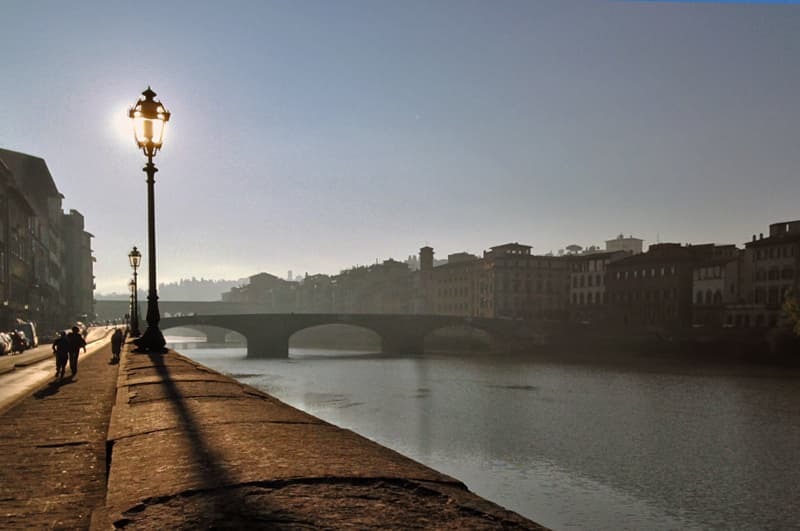 My favorite effect of the sun is the reflection of a ponte (bridge) and palazzi (buildings) on the Arno river. 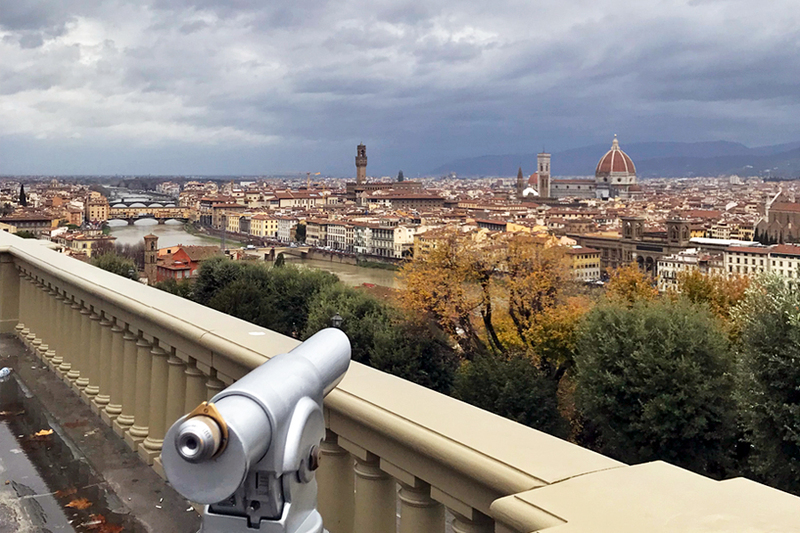 The tourist off-season in Florence can feel like a dream. Especially if the weather permits as it has been, I’m able to walk around town as if it were all mine. Today, I strolled along the Arno and wandered through the centro storico (historical center) without always watching where I’m going. I brought my reflex camera with me so that I could take a few pictures. Ever since I got on Instagram, I have been taking photos with my iPhone. I love it because it’s so handy, but the quality isn’t the same. I have become rather reluctant to lug my cumbersome camera with me, but every time I do I am happy because I was able to take some amazing photos. This morning I couldn’t wait to get out of my apartment so I could take advantage of my day off from work. Over the weekend, I decided to spend Monday soaking up my beloved city and focusing on my writing projects. I rushed downstairs and strolled along the Arno. With the Ponte alle Grazie behind me, I headed toward Ponte Vecchio. I had made mental plans of how I would spend my morning. I usually write at home, but felt a pull to write somewhere new. I am often asked if I had to choose between Florence and Paris, which city would I live in. Every time, I say Florence. However, the real answer is that my love for Florence has only increased by my also living in Paris. The amount of love I have in my heart has multiplied and has not been divided. I didn’t know it would be possible to have this much love in my heart for two cities. The spike of tourists during this holiday season seemed to be greater than I had ever experienced. I might have also noticed it more because I was walking around Florence much of the time with my beau. We could never walk hand in hand because of the crowded streets. We got jostled quite a bit and it was at times quite frustrating. My beau took off on Sunday so unfortunately he didn’t get to experience my beloved city as of Tuesday evening. I love how Florence always keeps me open. Even after more than 12 years, I am still learning about her and discovering more each day. 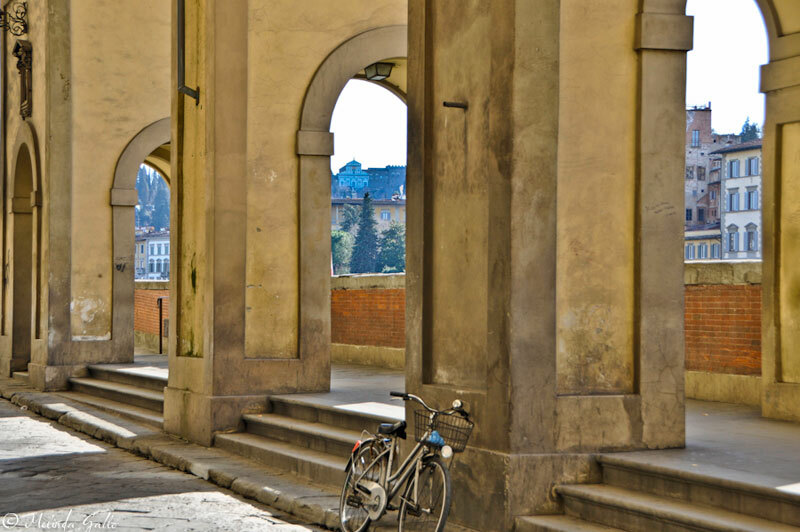 Florence isn’t a city that you live in, visit, or read about and think you “know” it. You can learn facts about it, study its history, explore the streets, but you can’t truly know her deeply without taking time to be connected to her. Florence is almost like a person. You can meet her, admire her, acquaint yourself with her, but to know her, you have to create a rapport with her. You have to spend time with her and try to experience her in every season. It’s the first day of the year and I am in my beloved city. My beau and I took a three-day trip to Venice and returned in time to celebrate the New Year in Florence. The streets were virtually silent after last night’s festivities that went on until early this morning. When I woke up this morning, the only sound I heard was the church bells echoing throughout the city on the hour. 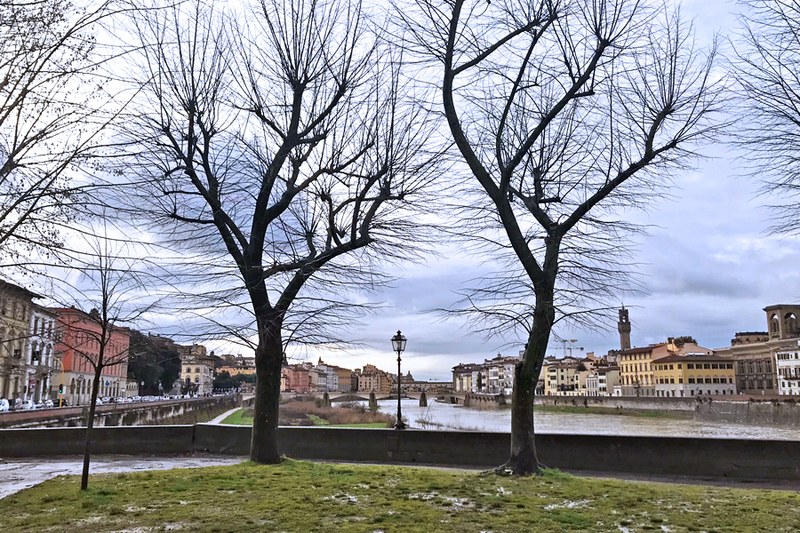 With bright blue skies overhead, we walked along the Arno while only a handful of people were wandering the streets. 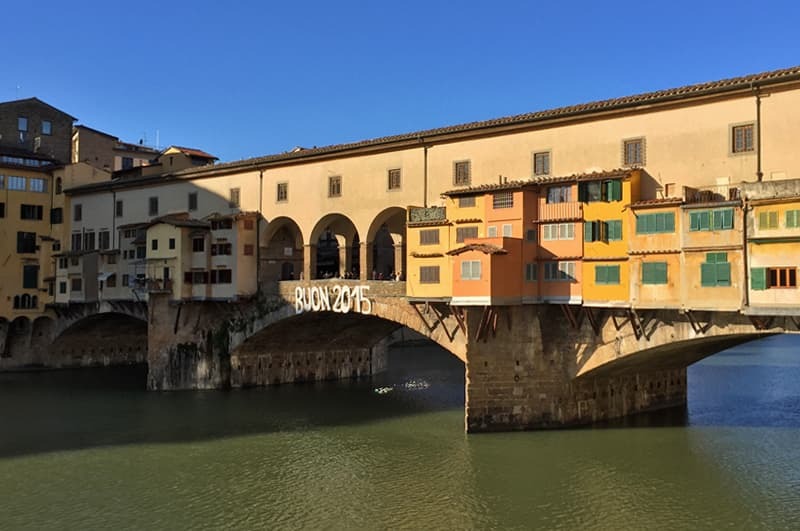 I was eager to go to the Ponte Vecchio because I was hoping that the “Buon 2015” sign would still be hanging on the ponte (bridge), and it was. 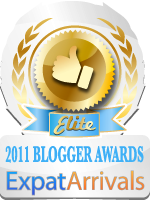 I haven’t written as much on my blog as I would have wanted to this year. I actually did write a lot for my blog, but in the end didn’t publish what I wrote. 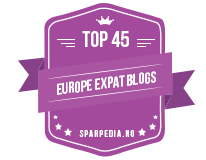 I was unsure about how to manage my two blogs and I finally came to the conclusion that I have to separate them a bit more. I will now concentrate only on Florence in this blog. I, of course, couldn’t help but share my beloved city with you all, which is why I took a lot of photos of Florence and shared them on my Instagram account. 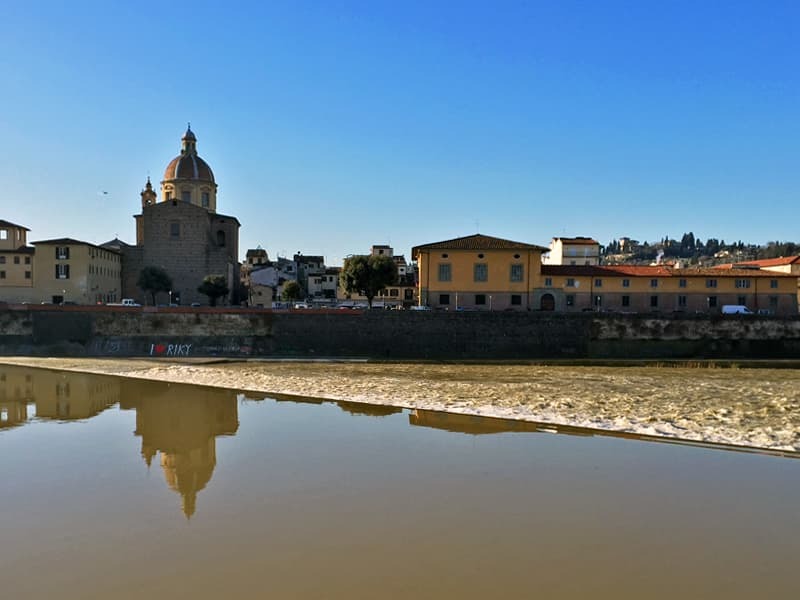 Living in Florence has taught me one important lesson: change is positive. Everything and everyone is changing all the time. Sometimes it’s happening at a fast pace while at other times at a much slower pace, but nothing stays the same. 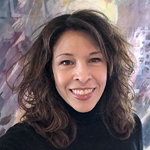 In Florence, I have experienced changes, both big and small: moving apartments, divorcing, changing professions, beginning/completing writing projects, and meeting new friends and letting go of others. I have learned that you can’t hold onto anything and when you try, it is thrust out of your grip anyway. When I returned to Florence ten years ago today I wasn’t certain that I would stay as long as I have. In my heart, I knew I didn’t want to never leave, but I couldn’t make such decisions alone. 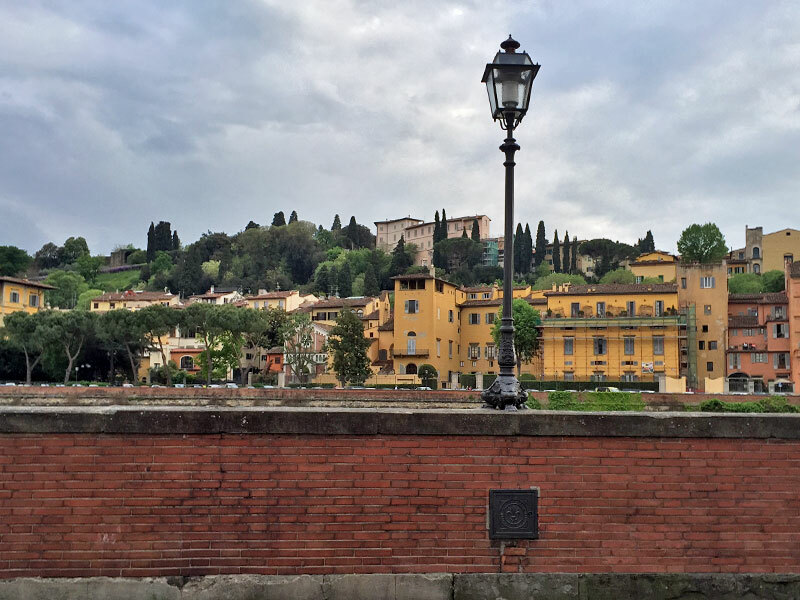 After my five-year hiatus in the US, I arrived in Florence accompanied by my then husband. I had never moved anywhere with anyone and I didn’t know how the move would affect us. Over time, my life in Florence became more important to me than anything or anyone else. One of the reasons I feel in my element in Florence is that it is where I can freely live out my emotions. When I was growing up, I was taught to show only “positive” emotions (and not too much of them either) and hide all the “negative” ones. I learned at a young age that no one wanted to see me angry or sad. All the “negative” emotions I had were to be lived out privately and more specifically when I was by alone. Today was my last day in Florence and I began it with a run along the Arno. 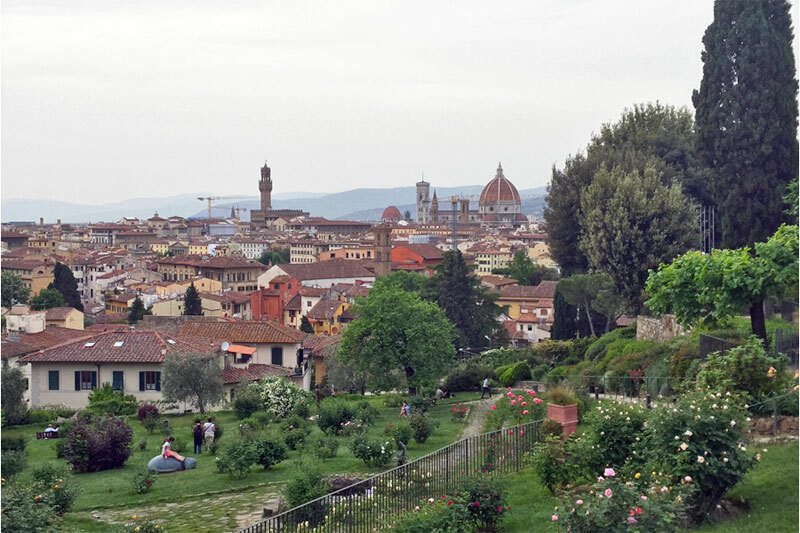 During my stay home, I headed up to the Piazzale Michelangiolo for each of my morning runs. However, because it was a little chillier than it has been, I decided to stick to the centro (downtown area). 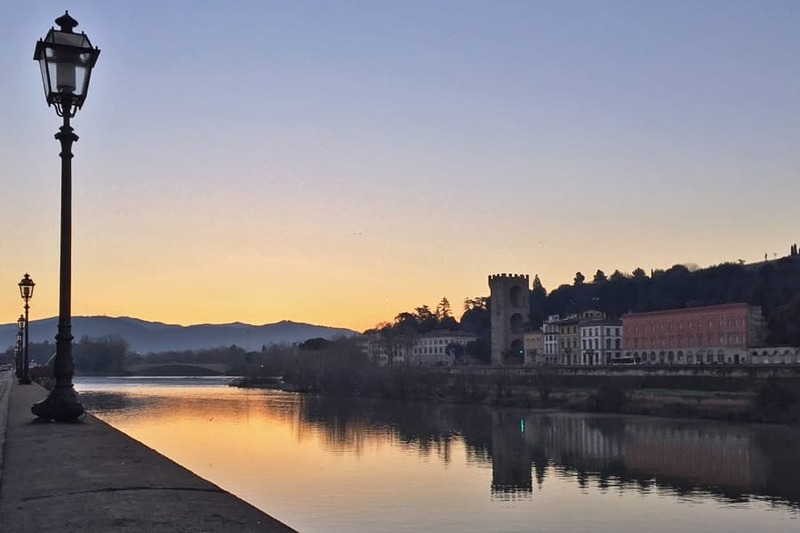 When I arrived at the end of Ponte alle Grazie, I turned right and headed toward the Ponte Vecchio, which looked like it was lit up by the sun that was just coming up.